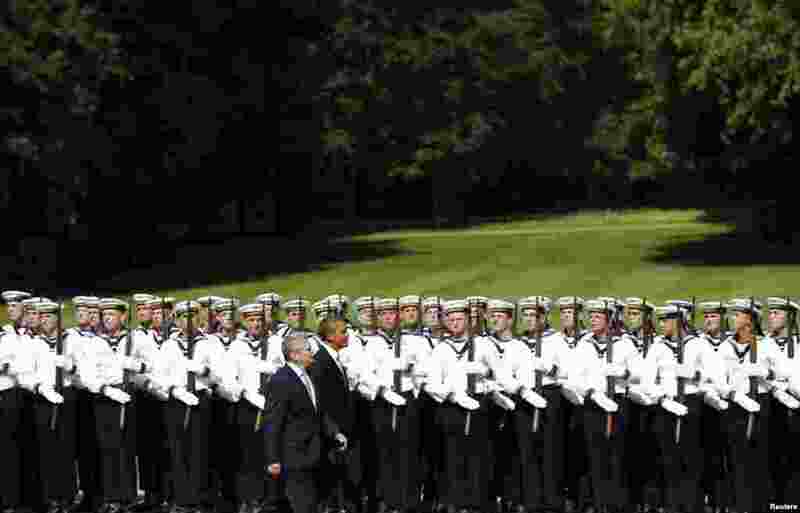 1 U.S. President Barack Obama reviews an honor guard with German President Joachim Gauck at Schloss Bellevue in Berlin, Germany. 2 A priest baptizes a child at Novopyatigorsk lake near the Russian southern town of Pyatigorsk. 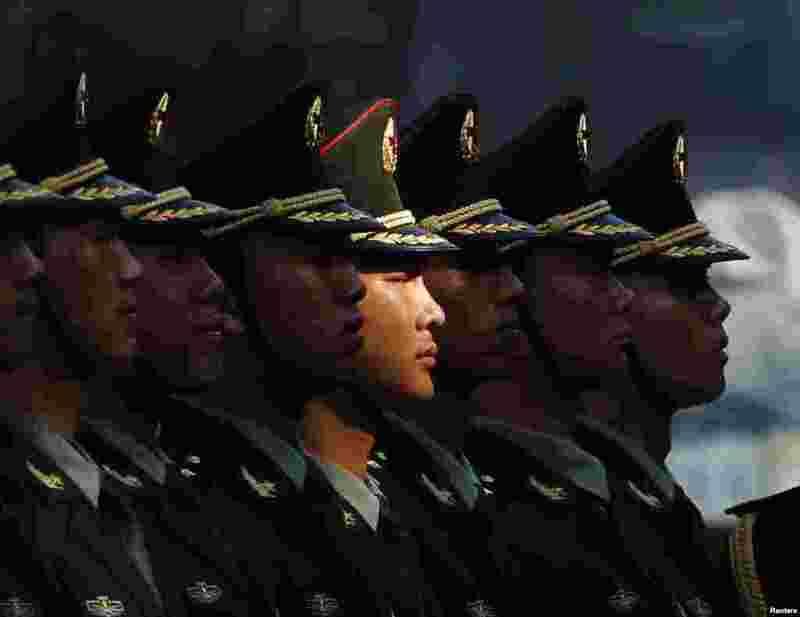 3 Members of an honor guard stand in line as they prepare for a welcoming ceremony for visiting Vietnamese President Truong Tan Sang outside the Great Hall of the People in Beijing, China. 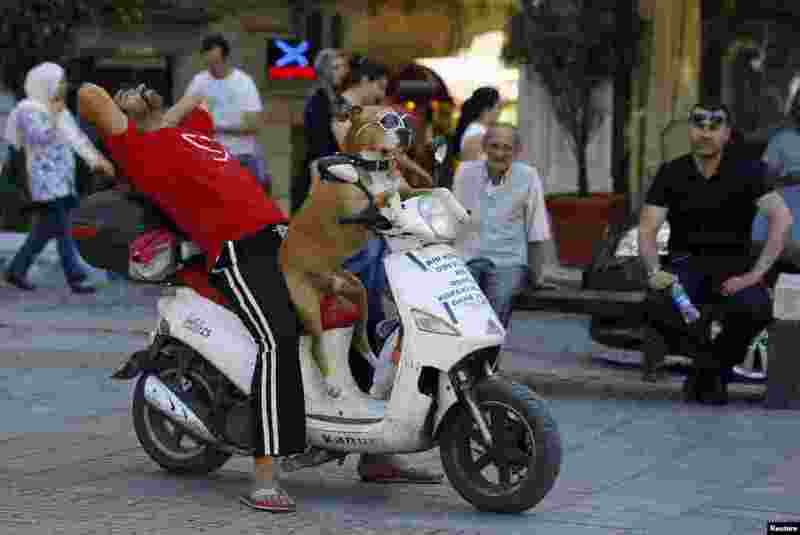 4 A man takes a break as he sits with his dog on a scooter in Istanbul, Turkey.